Our Cancellation Policy: You may reschedule your class within a 2 week time period. No shows or last minute cancellations will be subject to rescheduling fee. If you can’t do the class, you may transfer your class fees to someone else who can. Our PADI Divemaster Course is the first leadership level course in a series of Professional level scuba diving courses within the PADI System of diver education. Divers will learn advanced dive theory including physics, physiology, decompression theory, dive tables, standards and procedures and more, as well as how to perform dive skills demonstration quality and how to supervise student divers and certified divers. April 2019 for class and pool. Open water and Practical Applications to follow upon successful completion of all pool and academic sessions. Please contact us for a complete schedule of dates and times. Becoming a PADI Divemaster is your first step onto the professional diving world’s sidewalk. It is very hands on and covers a wide range of responsibilities and rewards. As a career (or even part time career), divemasters are an essential part of Dan’s Dive shop and are often relied upon by other divers and students. As a divemaster, you not only get to dive a lot, but also experience the joy of seeing others have as much fun diving as you do. You’ll work closely with our instructors and be a role model to students, new divers and customers with the experience in the full spectrum of what recreational diving has to offer. Candidates will also learn about Physics, Physiology, Decompression Theory, Equipment, Supervision techniques, the aquatic realm, and much more. If you’ve got the drive, proper mindset and discipline to succeed in a course of this magnitude, we’d be happy to have you. If you want to go the professional route –contact us at the shop today to see how to get started as a DDS Divemaster and the schedule for this exciting course. Need a more flexible learning option but want to get started immediately? Sign up today for eLearning and you’ll be able to start learning immediately.With our eLearning option, you can complete the academic portions of the course online via the PADI eLearning process. Follow up with the shop to plan out the remainder of your course requirements. Your personal recreational dive equipment, PADI Divemaster Crewkpak, SMB, Spool, Waterproof Notebook, extra weights, save a dive kit. $500.00 + HST for class/pool sessions or $650 + HST for PADI eLearning. Additional Costs: parking, dive admission fees, boat charters (if applicable), PADI Divemaster Crewpak, any additional equipment rentals or specialized gear. 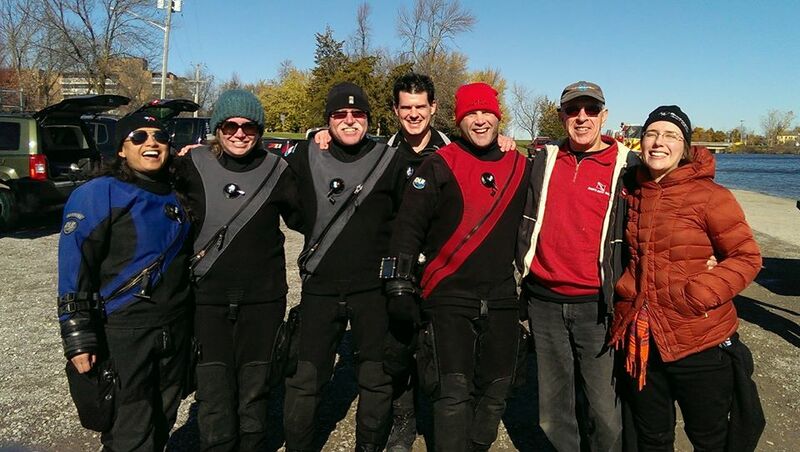 Get ready for the Spring Dive Season with our PADI Open Water Scuba Diving Course Weeknights at Brock University and enjoy the fun, adventure as you become an underwater explorer with Dan’s Dive Shop, Canada’s Oldest, Most Respected Scuba Diving School. 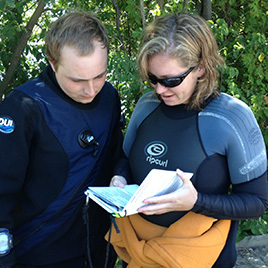 The course runs every Wednesday Night starting May 8th – June 12th, 2019 from 6:30-10pm over 6 weeks with your Open Water Certification Checkout Dives to follow. Learn to scuba dive with one of North America’s most respected, most experienced, most progressive and visionary dive shops. At Dan’s we teach you the right way to dive from day one. Learn how to Scuba Dive and spend your life exploring local and exotic locations. 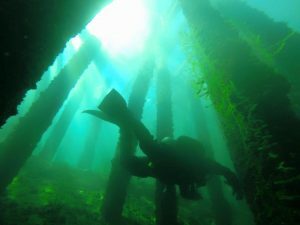 Dive Ontario and the rest of this amazing world underwater as a DDS Diver. There are tons of great dive sites both locally and away, as well as exciting wrecks and beautiful aquatic life. At Dan’s we offer you a more thorough and modern approach to your scuba diving education. We believe in teaching you how to maximize your potential and see where the tides take you. We pride ourselves on offering you a higher level of training aimed at taking you further through the life long adventure sport of scuba diving. DDS Divers are the most skilled and respected recreational and technical divers in the water because they are taught to be more comfortable, utilize precision buoyancy, possess higher skill and techniques underwater, with more academic and team awareness. Minimum age is 10 years by PADI standards, however we strongly recommend 12-14 years (Unless accompanied by a parent). Complete the academic portions of the PADI Open Water Diver Course and videos at your own pace with eLearning followed by 6 new classroom sessions with your Instructor who will introduce many revolutionary diving concepts not taught in more traditional dive training for a more informative and beneficial dive training experience. Upon successful completion of classroom and pool sessions, students will need to complete an Open Water Diving component usually held over a weekend. Open Water Dives are required for Open Water certification and are included in your full course price and completed locally. Scuba courses are available 12 months of the year. Full PADI Open Water Certification Course Cost is only $500+HST ALL INCLUSIVE for the standard course with eLearning activation code and PADI Deluxe Multimedia Crewpak (digital dive tables, virtual log book with PADI Scuba Earth and more!). Includes class, pool, open water dives, full scuba equipment rental (no snorkeling gear), certification fees and more. All students will need to purchase their own Mask, Strap Fins, Snorkel, Boots, however many of our students prefer to purchase the rest of their kit too. You’ll want to buy the right gear, so please have a read through our DDS Student Diver PDF and learn more about the specific gear requirements and training differences we offer, as well as some incentives. You don’t need to purchase a weight belt and weights, at DDS we don’t believe in over-weighting our students. Weight belts are an outdated piece of gear that has not been used by us in training since the late 1990’s.Our divers are taught to use little to no weight. Financing is available: Finance your PADI Open Water Scuba Diving Course, snorkeling gear and even your scuba equipment package at a very reasonable rate. Ask staff for details and learn diving in the best equipment you can…..your own personal dive gear, or ours. DDS will include all scuba equipment for the course, however, you will enjoy your diving experience much more in your own personal dive equipment. Learn to scuba dive this coming spring with our PADI Open Water Weekend Scuba Course May 2019. Get your PADI certification completed so you can start enjoying the greatest sport in the world. Students will complete all class and pool sessions for the PADI Open Water Weekend Scuba Course Saturday 9am-9pm and Sunday 8:30am-2pm with a second weekend needed to complete your PADI Open Water Certification Dives in May. Private checkout dates are also available. Learn to scuba dive with one of North America’s most respected, most experienced, most progressive and visionary dive shops. At Dan’s we teach you the right way to dive from day one of our PADI Open Water Weekend Scuba Course. More knowledge and higher skills are just the start. Minimum age 12yrs old, must be able to swim non-stop 200 meters free-style or 300 meters with mask, fins, snorkel. 10 minute tread. You complete the Open Water Diver Course classroom component on eLearn . We will have you complete all academic portions of the PADI Open Water Diver Course and videos at your own pace and will meet up for Classroom with your Instructor as we fill in many of the gaps left in traditional dive training with a more informative and beneficial dive training experience. Financing is available: Finance your course, snorkeling gear and even your scuba equipment package at a very reasonable rate. Ask staff for details and learn diving in the best equipment you can…..your own personal dive gear, or ours. Our PADI Assistant Instructor Course is tailored around you working in the industry teaching discover scuba’s, assisting open water classes, co-teaching with one of our experienced instructors and getting you up to par for your Final Step, the PADI Instructor Course. By completing your A.I. course you can save time and money when you make the jump to Instructor by completing some of the prep work with us. Those wishing to complete the academic portions of your PADI Assistant Instructor Course via the eLearning process may do so by joining our eLearning website click here. Continue your path down the PADI Professional road with Dan’s as he personally takes you through the PADI Assistant Instructor Program. This Course is PADI Assistant Instructor course is the first portion of the PADI Instructor Development Course (IDC). You’ll not only gain additional experience as a PADI Professional but you’ll also start learning the PADI System of diver education. Have been a certified diver for at least 6 months. By Completing your PADI Assistant Instructor course with us you can save time and money when moving towards your PADI OWSI Instructor Development Course, as you will have successfully have completed some academic and watermanship skills crucial to the PADI OWSI Instructor Development Course, which will arm you with more tools to move forward. Cost : $650.00 + HST. Includes PADI eLearning Class, but Does NOT Include PADI AI Crewpak, which needs to be purchased in advance from DDS at a discounted rate. Our PADI Advanced Open Water course is the most thorough and progressive PADI Advanced Open Water Course available in the dive industry. This course is available privately for individuals or groups locally or wherever you are located. Those wishing to complete the academic portions via the eLearning process may do so by joining our eLearning website click here or can purchase the course with the standard PADI Advanced Open Water materials which are included as part of the course price. The PADI Advanced Open Water Course introduces divers how to be more aware and how to participate in bigger, better dives utilizing more precision techniques, while exposing you to multitude of different diving environments. The training dives are designed to allow you the opportunity to gain experience under the direct supervision of one of our PADI Instructors. 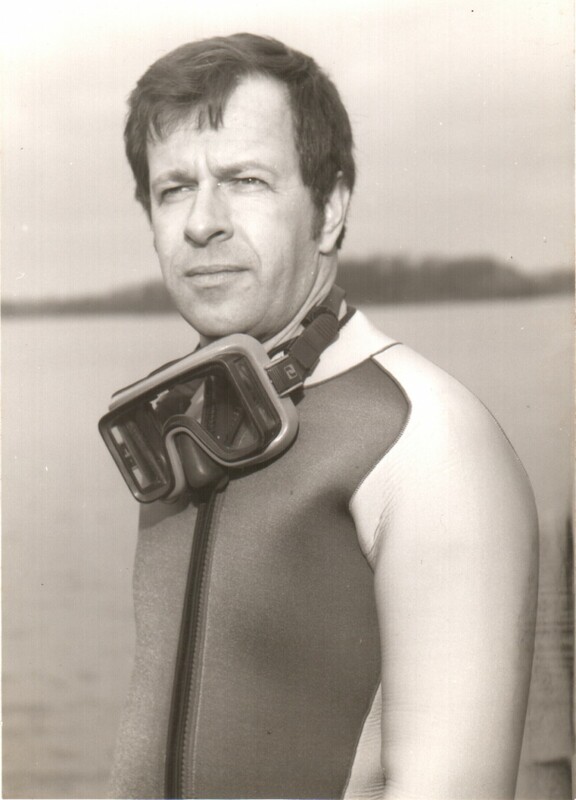 What’s unique about our Advanced Open Water course is that we also allow you to complete your class in a Drysuit if you would prefer to stay warmer and more comfortable than you would in a wetsuit. Open Water Diver with 10 dives minimum over the age of 15yrs. Junior Advanced may also be conducted to a maximum depth of 70′ for students under the age of 15. Our course allows students to experience a multitude of different styles and types of diving including: Deep Diving, Wreck Diving, Boat Diving, Drift Diving, Night Diving, Peak Performance Buoyancy Dives, Underwater Navigation, Discover Enriched Air Nitrox, Search and Recovery, Diver Propulsion Vehicle Adventure Dive and more. Attention is paid to proper buoyancy and fin techniques, air management, specialized equipment, proper gas reserves and dive planning. Dan’s Dive Shop also offers all of our Advanced Open Water Course participants the opportunity to take advantage of a Drysuit Upgrade Option where divers can take your entire Advanced Open Water Course in a DUI Drysuit (requires an additional orientation dive session). A classroom session will take place prior to deep diving where a thorough understanding of the features, beneifts and safety aspects of deep, wreck diving are covered. Diver’s will learn what advanced diving is all about and what’s required to be an Advanced Diver. Additional training and information is conducted on the dive site prior to the dive. All students must have a Digital Depth and Timing Device for the Deep and Wreck Dives, if you don’t own one, one will be provided for you. Students will also need a minimum of 2 lights (1 primary and 1 backup). This is the most through Advanced Course offered in the business and the most enjoyable! 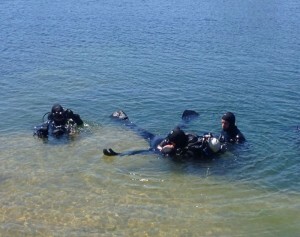 $275+HST includes Course and Instructor Fees, PADI Advanced Open Water Crewpak 60303, Certification Fee. Minimum Age 15, 10 logged dives is recommended, however, is ultimately up to the instructor. 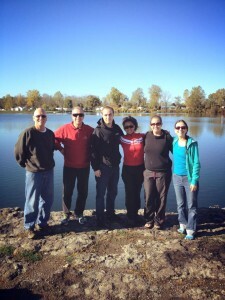 We do not include any scuba equipment rentals in the basic Advanced Open Water course fee. Any Park entry fee’s or boat charters are additional unless otherwise specified, however, if you join us for your Advanced course on a Trip to Tobermory, Kingston, Brockville, Picton or anyone of our other great local dive destinations, the cost of the trip will include all charter boat dives. PADI standards now suggest that all students have an smb (surface marker buoy) and a whistle. We’d also suggest for safety a reel to attach to the smb to deploy in an emergency situation from depth. PADI Drysuit Specialty Option includes use of drysuit, undergarment, larger fins, but does not include any additional rental equipment as many of our divers already have begun to purchase some or all of their dive gear package. Join us for what many of our students call their most favourite PADI Scuba Course, the PADI Rescue Diver Course. Let us take you through the most exciting core PADI scuba diving course and help prepare you better mentally, physically and emotionally for what can be some of the most serious, rewarding and smartest way to scuba dive. Join us Saturday June 22nd, 2019 9am-9pm for Class & Pool with Open Waters on Sunday June 23rd, 2019 from 8:30am-4pm. The PADI Rescue Diver Course is the most essential scuba diving course and the minimum level we would recommend all divers achieve, and rest assured that after we’ve added a little bit of our own insight and experience you’ll have a new outlook on diving. Most dive accidents are a direct result of human error, and many accidents that happen often happen to the least experienced or less aware divers, learn more about prevention, anticipation, rescue techniques and much more. You will learn how to prevent, assess and control problems above and below the water. You should know how to handle a situation when things go wrong underwater or on the surface. This is the one dive course that many graduates would call their favourite and most Memorable PADI dive course. If you’ve got the Advanced Open Water Program under your belt, this is your next step towards your PADI Master Scuba Diver Rating. Students will gain life saving skills that will help them to save themselves and other divers from a potentially dangerous situation and test their own personal limits and comfort. This course is a must for anyone whether you’re an avid diver, or even more importantly, the diver who dives down south on vacation, as once a year divers are more likely to experience a diver in distress. Many divers have received improper training from other shops or instructors, many divers have NOT kept up their level of proficiency or personal diving skills, equipment configuration or knowledge. Dan’s Rescue program encompasses advanced dive theory, rescue techniques such as prevention, readiness to respond, First Aid, CPR, decompression injuries, underwater search and recovery, specialized equipment, equipment care and maintenance, pool and open water sessions. There will be a weekend of Open Water Training Scenarios where Divers will experience simulated “real life” situations that they could encounter in a real diving situation such as out of air divers, missing divers, a panic diver, diver with a pressure related injury, diver requiring immediate first aid, unconscious diver and many other scenarios. Our course is well over 25 hours of action packed information, diving and excitement. You will need your personal scuba equipment, along with a surface marker, safety reel or spool 100′-150′ of line, waterproof notebook or dive slate, cutting tools, CPR/O2 pocket mask, audible surface signalling device. DDS will supply all oxygen related first aid equipment, rescue throw bags, etc. Divers need to be certified Open Water, Advanced Open Water, Maintain Current First Aid/CPR (Emergency First Response and Oxygen Provider Courses are available and often run near the Rescue dates), Minimum age of 15 years old. Cost is only $350 + HST and includes PADI Rescue Diver Crewpak, Certification Fee. If you’re interested in this course come in and get your books and start your journey to safer diving today. Tech 1 students working on valve shutdowns near the lake bottom of Lake Ontario. Dive Picton DDS Wreck Diving Adventures 2019 brings you some of our most beloved and enjoyed dive trips ever, as we embark on a magical weekend diving the best shipwrecks in the greater Picton, Point Traverse, Kingston area. Nothing brings a dive group together quite as much world class diving and adventure, so we will be offering 2 nights of shared lodging in a back country lodge (similar lay out to our Tobermory Dive Extravaganza), with a great selection of wreck diving and fun! Trip will include 2 days of morning 2 tank boat dives on some of the best wrecks in the area. Depths range from 80-105′. PADI Advanced Open Water Certification dives are available on this trip as well for those wishing to complete deep, wreck and boat Adventure dives. Picton offers some of the most beautiful diving of anywhere in the country. Pristine shipwrecks in crystal clear Lake Ontario water with many artifacts ideal for a photo opportunity, some light penetration and much more. We will have kitchen facilities, great dining and attractions nearby. We are looking at the possibility of a meal plan, but at this time it’s undecided. Minimum level of certification would be a diver enrolled in their PADI Advanced Open Water Diver Course. More advanced, deep or technical divers are free to join in on the diving and complete a reasonable dive profile within their training and limitations as well. Cost is estimated at only $375+HST. Includes lodging and boat charters. Rentals, gas fills, rentals, food additional, Waupoos Marina parking $10/day. 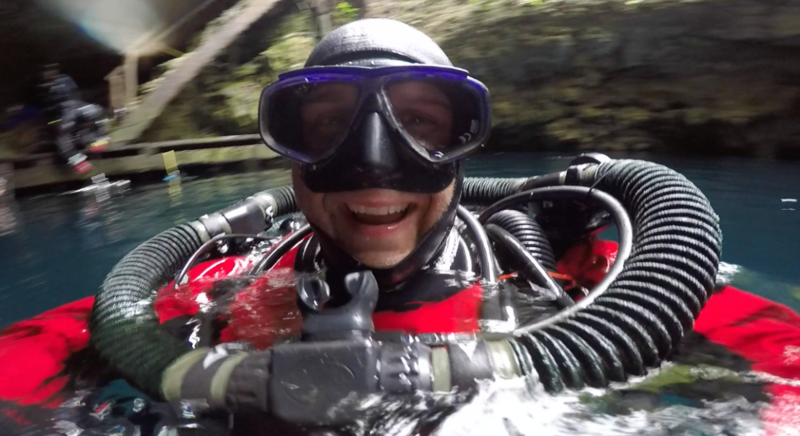 Florida Springs Trip 2019 Week 1 is an intensive training week offering expert level training in DPV, Intro to Tech and Cavern Training with Cave & Technical Diving Instructor/Explorer Matt Mandziuk. If you want to be the best diver possible, this trip is life changing and will improve every aspect of your diving. Don’t miss out on our SIGNATURE TRAINING TRIP in Florida’s beautiful aquifer in the heart of cave country. Spend an exciting week with us earning your Intro to Tech and Cavern certifications. It’s an intense but incredibly rewarding week filled with lots of diving in some of the most spectacular and unique dive spots in the world. Read testimonials from past graduates in our Testimonials page and see just how monumental this trip is! 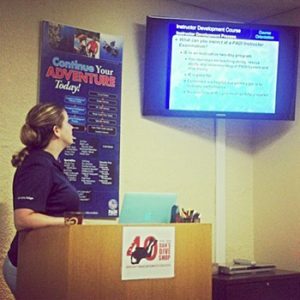 Participate in our NAUI Intro to Tech Class and see that this course is not just for tech divers – it is a foundational skills refinement course that will dial up your control, problem solving and finesse as you dive in any situation. Our Cavern course will build on your Intro to tech skills dovetailing seamlessly into one another, while exposing you to a magic that few divers experience – the cavern zone of beautiful caves. And if you’re looking for greater challenges, CHECK OUT OUR CAVE 1 AND CAVE 2 courses the following weeks. Call or email the shop for more details and make training with us in Florida next February the best decision of your diving adventures! Lodging and food is only $550 US (based on a group of 6) Course package is only $650 for Intro to Tech and Cavern Diver Combination Courses. Sign up today for the most progressive, high skills training experience of your dive career and challenge yourself today. For more course information check out our Cave & Technical diving courses section. – Not all dive courses are created equal. – A perceived “too good to be true” priced scuba course often is and there are hidden costs that price it well above ours, while the quality is well below ours. – As Canada’s Oldest PADI Dive Center we have pretty much seen it all over the last 40 years as we have paved our own way in diver education offering diving education that is a cut above the rest. We offer all PADI Courses, from Open Water to Advanced Open Water courses, Rescue Diver, Divemaster, Master Scuba Diver Courses, PADI Assistant Instructor, Drysuit courses, Dive Speciality Courses, and much more – all taught well above the minimum agency standards. We know diving, but find out what others are learning from us. Check out our Testimonials Page. 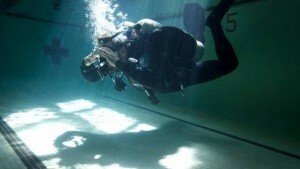 Learn more about the Dan’s Difference in dive training. Read our BLOG to learn more about what we do, where we’ve been, upcoming events, articles, newsletters and to see first hand the differences in how and what we teach our divers. Check out our Photos and watch our Videos to see our divers in action….You could be featured in there yourself once you’re certified like many of our divers are. Whether you are a new diver or a seasoned diver looking for more challenges or control in your diving, we offer the best dive training from the most experienced and accomplished scuba divers in the country, while offering you the best selection and pricing on scuba diving equipment from all the best scuba diving brands, local diving trips, exotic dive travel, weekly local dives and more. For divers wanting more of a challenge DDS specializes in Cave and Technical Diving Courses offering the most in depth technical diving programs in the country including Intro to Tech, Decompression Procedures, Trimix, Cavern and Cave Diver Level 1 & 2, Wreck External Survey and Wreck Penetration, Ice Diving, Technical Wreck Penetration, Rebreather Courses, Deep Diving, Mixed gas diving, Specialty Diver Courses all of which keep the adventure of scuba diving thriving. The Dan’s Dive Shop store Staff along with our instructional team of Recreational and Technical scuba diving Instructors, Divemasters and Assistant Instructors are the most dedicated, experienced team of professional level scuba divers in the diving industry. Our scuba diving instructional team offer the most comprehensive learning of recreational scuba courses, Cave Diving and Technical Diving courses, Enriched Air Nitrox and Sidemount diving courses, while utilizing the most progressive diving methods, equipment, technology and by teaching our students the most comprehensive scuba diving courses on the market. Our staff are all active diving enthusiasts who love scuba diving and all that the diving life style has to offer! They’re progressive divers who are learning and advancing their personal diving careers on a regular basis through continuing education courses and training, while also preparing mentally and physically for more demanding advanced dives. 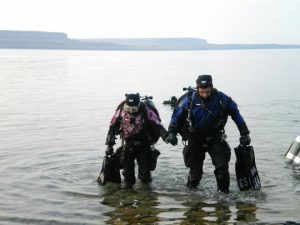 Our staff are often required to test dive new dive equipment, trying different styles of diving, which gives them a perspective on the amazingly fun styles of diving that we specialize in like single tank diving, diving double tanks, sidemount, drysuits, diver propulsion vehicles, rebreathers and so much more. The bottom line is that our staff are expected to be leaders in the local scuba diving community, they help shape our divers into the most informed divers in the water and mentor a lot of our newer divers as well. We have a lot of fun at DDS. Join the family. You can trust that our staff have a good amount of diving experience and good overall knowledge, while many of them are still learning, so if you have questions on gear or training that exceeds their level of knowledge, please be patient as they defer more technical questions to Matt, Dan, Chris, Fawn, or another qualified staff member who can get them the answers in a timely fashion. One of the best things about our staff is the fact that we get out and dive on a regular basis for fun with our clients, who often times become regular dive buddies. Very few dive stores have staff that dive, let alone their owners, whereas DDS staff and owners are out diving frequently interacting with or engaging their clients and having fun doing it. Please be advised that only 2 of our staff are experts at custom wetsuits (Matt & Dan), while Matt, Fawn and Dan are DUI Factory Trained drysuit and drysuit undergarment fit specialists at measuring for DUI, while Matt and Dan are able to measure for Santi and Bare, so please call ahead of time prior to your anticipated trip to book an appointment with us.